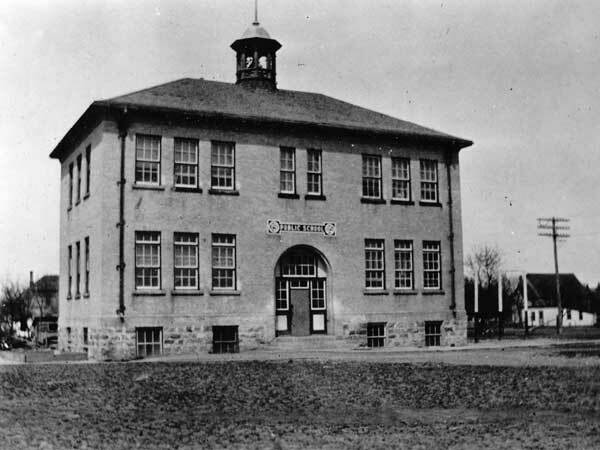 The Simpson School District was formally established in April 1891, and a two-storey, four-classroom brick school was built later that year, and opened in early 1892. A bell in its tower was donated by Premier Thomas Greenway (now atop a cairn commemorating local schools). A replacement school was built in 1905, on a design by Brandon architect W. A. Elliott. 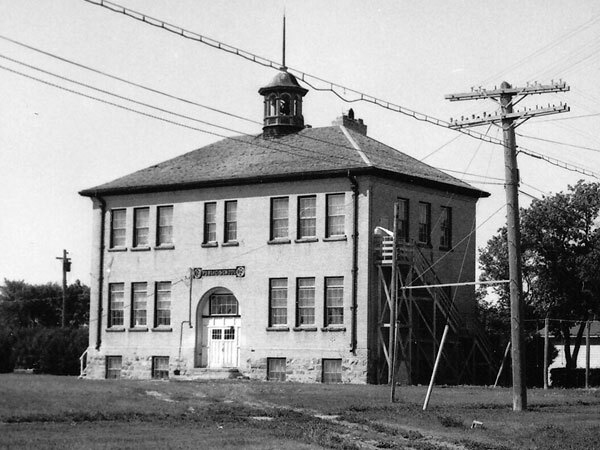 Its name was changed to Baldur School in 1915 when a like-named school at Hnausa, north of Gimli, closed. In January 1960, the school was consolidated with several smaller schools from the surrounding area, including Rosehill School No. 90, Wolseley School No. 305, Hola School No. 889, Greenway School No. 947, Huff School No. 948, Hamlin School No. 1790, and Antonius School No. 2127. A new elementary school building was constructed in 1961, and other rural schools would join during the 1960s, including Connaught School No. 1630. The Baldur High School closed in 1976 and a monument was erected that same year. Among the other teachers of Baldur School were Annie F. Playfair and John B. Stewart (1911). GR8461, A0233, C131-1, page 105. Source: Archives of Manitoba, Architectural Survey, Baldur. “Baldur, Man”, Western Canada Fire Underwriters’ Association map, 1916, Archives of Manitoba. “Murray Smith appointed Principal at Baldur High,” Baldur Gazette, 18 May 1983, page 22.